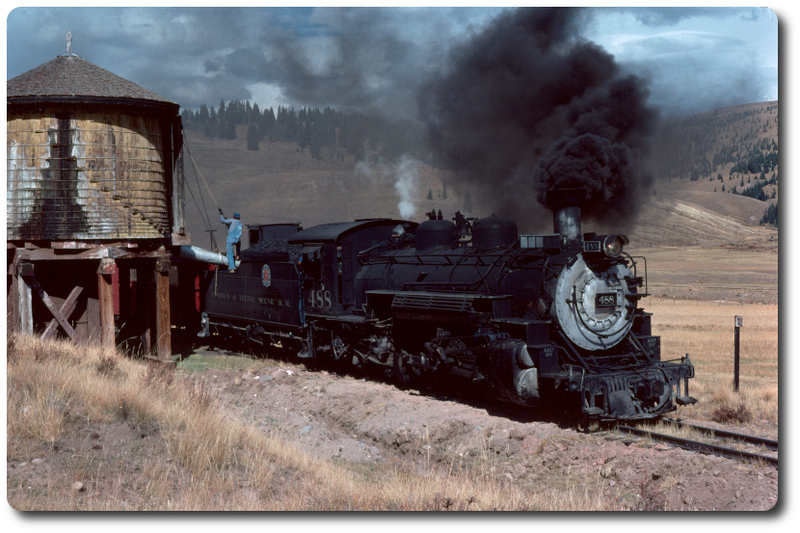 Expanding the scope to include a non-Colorado narrow gauge, The Southern Pacific operation had 2.5% grades up and over Montgomery Pass. Every photo taken over several decades always show double-, triple- and even some quadruple-headed trains. Never a view of a mid-train or rear-end helper. All of this with 4-6-0s and prior to the end of the 1920's there were 4-4-0s that were operated as helpers ahead of the through 4-6-0. The four locomotive trains all seem to be stock movements.